(3/10) In a nutshell: This rather inventive and surprisingly scientifically ambitious film was a TV pilot halfway through filming. Unfortunately the TV budget shows. 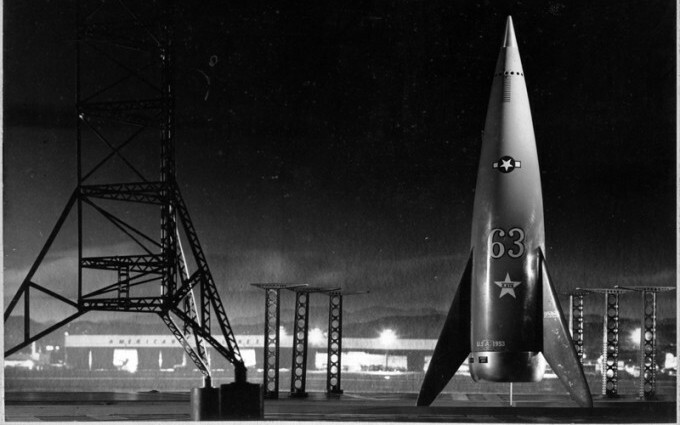 A Communist saboteur infiltrates a 1970 reccie flight for the first American moon base, and the two pilots are more interested in settling the fifties war of the sexes than actually doing their jobs. A thin and silly script with a mixed but ultimately stuffy gender message. Crude but fun special effects save the film. Modelwork by Jacques Fresco on Project Moon Base. (6/10) In a nutshell: Screenwriter H.G. 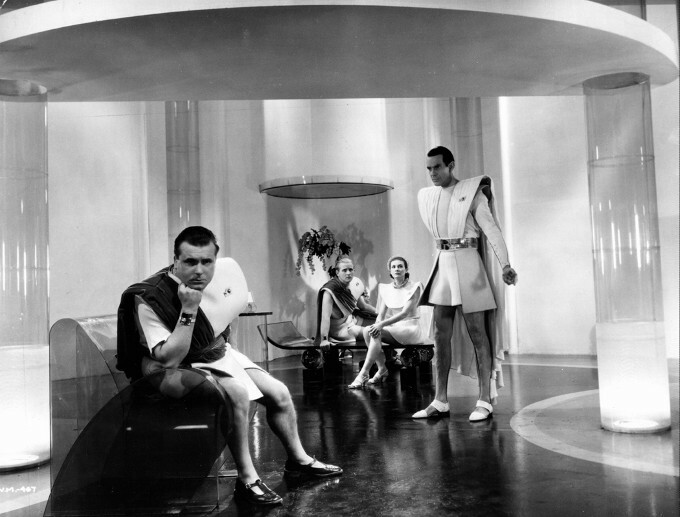 Wells, producer Alexander Korda and director William Cameron Menzies take us on an epic journey through the future in this pompous 1936 social prophesy. The most expensive film ever made in Britain in 1936, Things to Come boasts incredible sets and miniatures, great effects, high quality filming and a team of great actors. But ultimately the movie trips on its clay feet, which is the impossibly stiff script, lacking in emotion and real dialogue. Wells is using his biggest sledgehammer to pound in his message, and prevents the audience from doing any thinking for themselves. 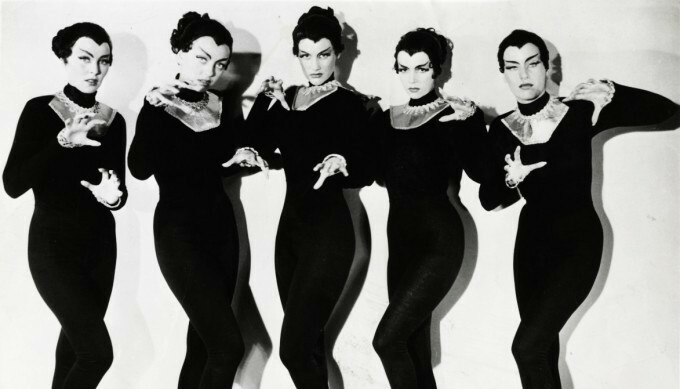 In the future the world will be ruled by stiff philosophers decked out in gowns and big shoulder pads. (9/10) In a nutshell: This is one of film giant Fritz Lang’s sillier movies, about a party going to the moon in 1929 looking for gold. If you’re not sitting around just waiting for the moon stuff to happen, the spy-themed build-up is sheer cinematic delight, with Lang clearly having loads of fun. 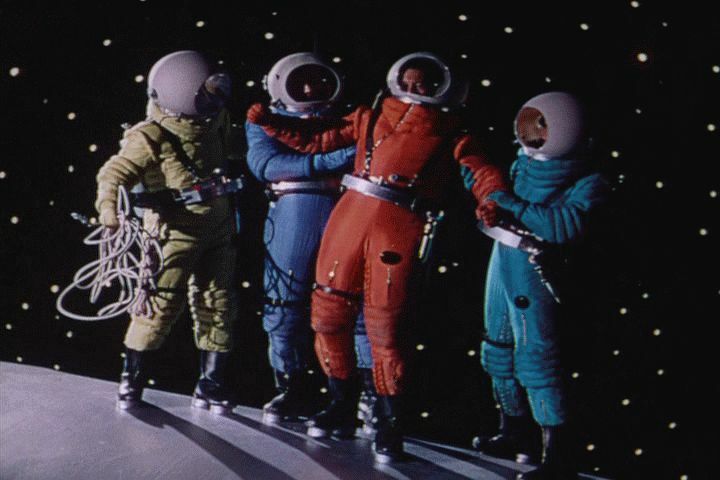 The impressively scientifically accurate moon trip served as a blueprint for every rocket launch film since. 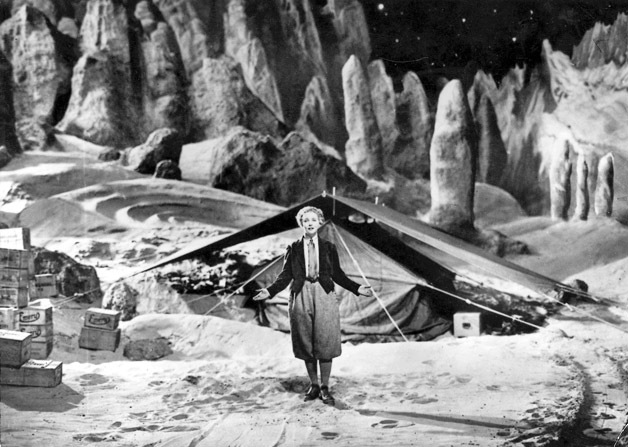 Gerda Maurus as the Woman in the Moon – properly dressed for lunar adventures. Move over Aelita! 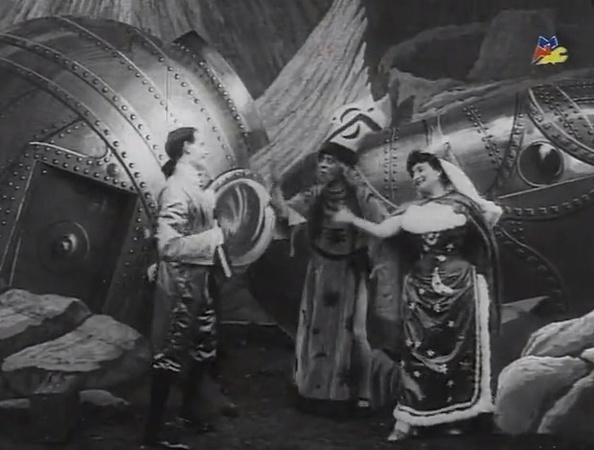 This 1910 short film about a scientist and the princess of Mars getting married on the moon is Italy’s first science fiction film. 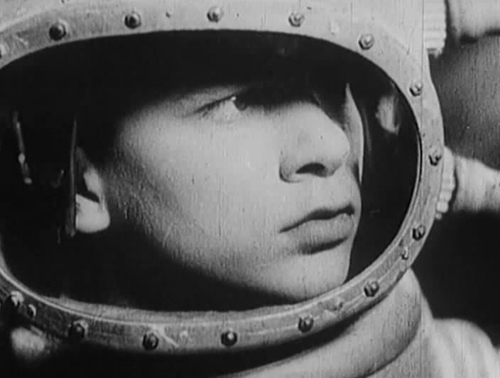 It is derivative of George Méliès’ A Trip to the Moon, but a fun little adventure. The scientist and the princess of Mars meet on the moon.